So. Much. Good. Food. 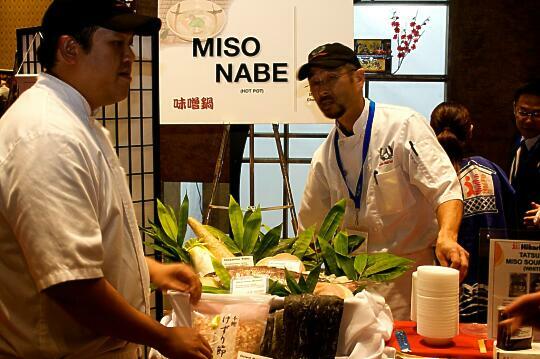 More than anything, that is the thing that stands out the most about the Japanese Food and Sake Festival presented by the Japanese Food Culture Association and the Japan America Society of Southern California. The festival was held yesterday afternoon at the Hyatt Regency in Orange County, and because we have some awesome friends, we were able to get into the invite-only section of the festival for a couple of hours before it opened to the general public. 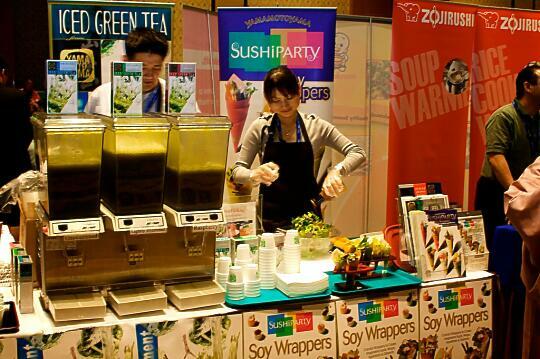 The moment we got there, we were overwhelmed by all the booths serving a wide variety of Japanese food and sake. We wandered around a little bit, trying to get our bearings, but it didn’t take long to get used to all the food being given to us from the different booths. First we tried some miso soup. Of course I love miso soup, and this was delicious, but not really anything special. Soon after we were each given a little Japanese pancake (or Japanese “Pizza” as they were calling it) which was a delicious little pancake of cabbage, egg, and something else. We were also given a little brochure with a recipe for the pancakes, so I just might try making them sometime soon so the rest of you can try it. Next we tried a bowl of ramen, which was good and had some delicious, tender pork in it, but there would be better ramen in our future. 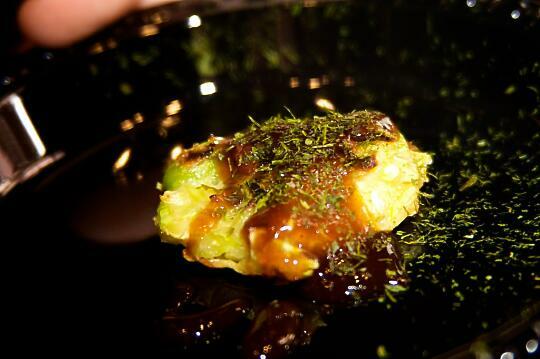 We tried a tea-flavored rice ball wrapped in a piece of nori. This was interesting – not something I would go out of my way for, but still something that I enjoyed. There was also a stand handing out bento boxes with a piece of melon, edamame, green beans, and pickled Japanese vegetables. These were alright, but not really anything special. Next we tried some sushi – scallops, and a couple of other types of fish that I didn’t quite catch the names of. (I’m a bad sushi blogger, I know.) I had these as sashimi, while Son had them as nigiri. We both enjoyed the fish quite a bit. Yakult (the yogurt drink) had a booth at the festival, where they were handing out their product (I didn’t have any, because I don’t particularly like the taste, but Son enjoyed his) and big blue Yakult tote bags, like you might use for groceries. Of course I grabbed a bag… one can never have too many tote bags. 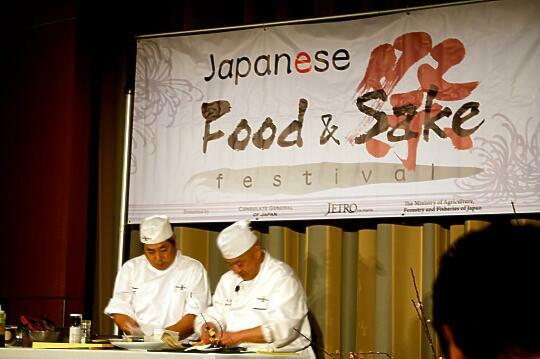 A little while after we arrived, there was a cooking demonstration on the stage by Chef Hiroshi Shima from Sushi Roku. 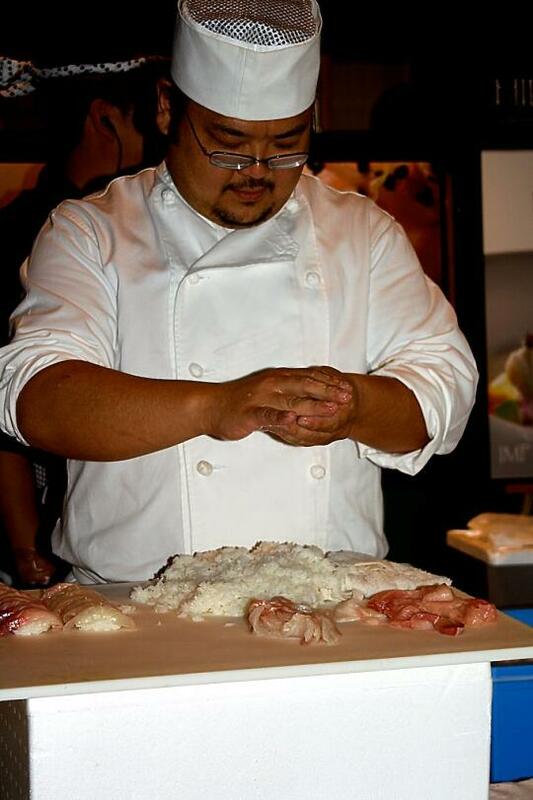 The sushi he made on stage looked delicious, however the anchovy hand rolls and shrimp shooters that were offered at the Sushi Roku booth? Not so much. The Japanese restaurant Gyu Kaku (which I’ve been to and enjoyed) had a booth at the festival, where they were handing out bowls of beef and rice. These were good, just what you might expect if you visited their restaurant. 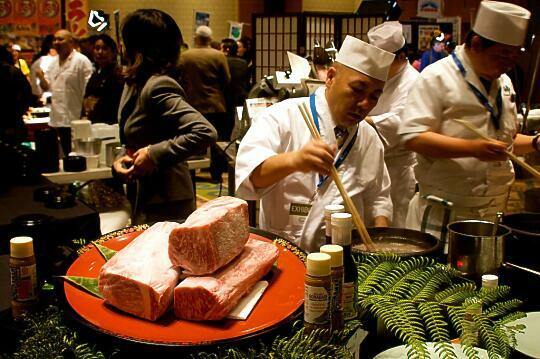 There was a booth serving wagyu shabu shabu – wagyu beef cooked in boiling water, served with shrimp, green onion, and your choice of sauces. This was very delicious, although my palate isn’t quite sophisticated enough to discern the difference between wagyu beef and regular beef. 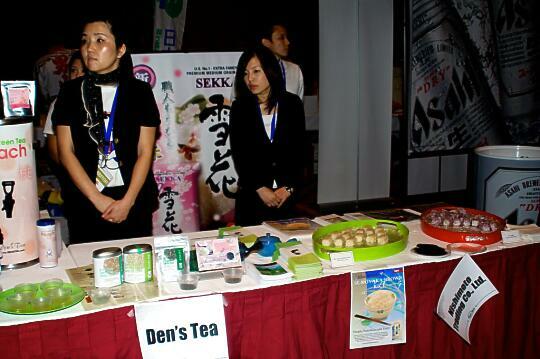 From the same company (Cool Japan) there was also a tea ceremony presentation. 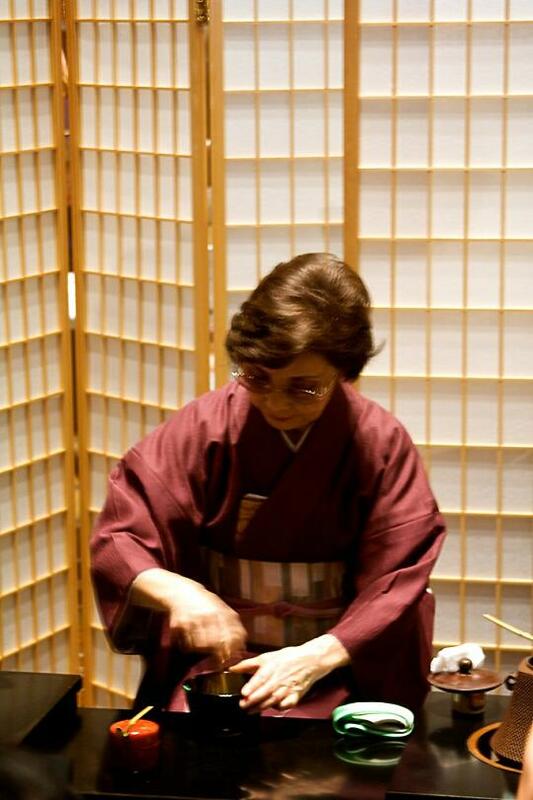 Although we didn’t get to participate (all the seats were full by the time we got there) it was very interesting to watch several Japanese women perform a full traditional tea ceremony. Now normally I’m not a huge fan of green tea, or any kind of tea for that matter. I’ll generally take hot chocolate or coffee over tea any day. But the YamaMotoYama sweetened iced green tea was right up my alley… I loved it so much that not only did I go back for seconds, I’m also planning to see if I can find somewhere that sells it. It’s good stuff. However the soy wrappers from the same company… yeah, not so much. I’ve seen these in the store, and thought they might be interesting for sushi, but they’re always ridiculously overpriced so I never actually bought them. They served chicken and lettuce hand rolls using them, which were incredibly bland. Although colorful, they don’t add much else to the rolls. However they did let me take a package of the soy wrappers, so it’s possible that I might use them for some of my own sushi, and see how they come out. 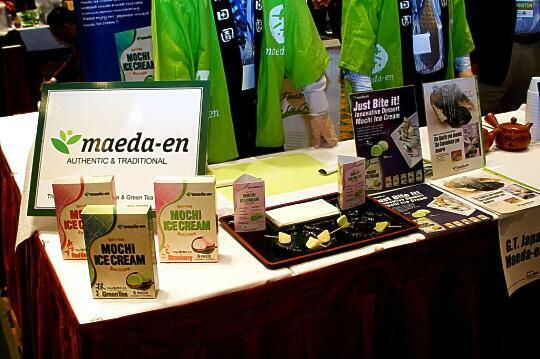 Of course, we already knew I love mochi ice cream, especially considering I love darn near anything mochi-related. I tried the vanilla and Son tried the green tea mochi ice cream, and of course they were delicious. Yum. 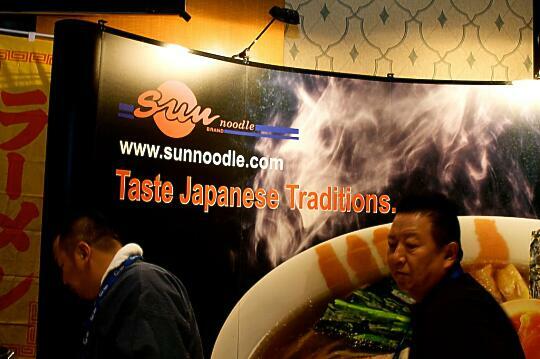 There was a booth handing out little cups of udon, which was… meh. I’ve had better. We also got to try some gyoza. It was good, but nothing special. Really no better than the bag of gyoza that you can get from Costco or any regular grocery store. 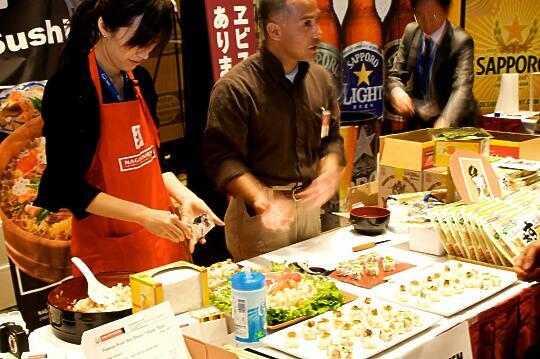 One table was handing out little cups of “Japanese-style Ceviche”. Oh man, was this stuff good! It really wasn’t anything that exotic – just shrimp, avocado, tomato, cilantro, and maybe some miso (and wasabi?) but something about it was just amazing. 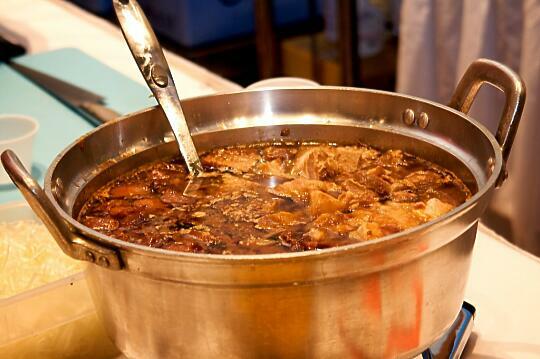 This was among our favorite dishes of the festival. The soft tofu with maple syrup was another of our favorites. Now, I was not a big tofu fan growing up. I couldn’t stand the stuff. These days I’ve found some tofu recipes that I actually enjoy, but never did I think that I’d fall for plain, soft tofu. With maple syrup. Handed to us by the president of the company, who is really the most adorable little Japanese man ever. Not to mention, the little flyer he handed us explaining the company included a cartoon explaining why he named the company “Otokomae”, which means “Handsome”! Yep, I could go for some more of that handsome tofu right about now. Did I mention the tofu was delicious? 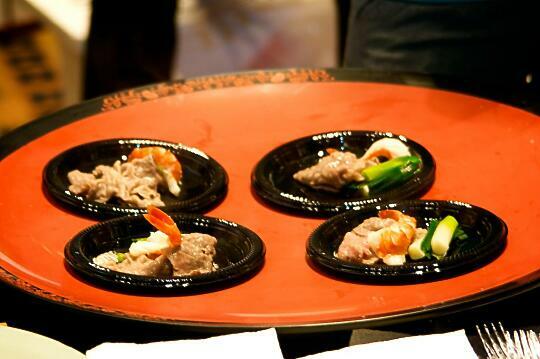 There were also some delicious little tuna “tapas” from Ronin Izakaya Bistro. 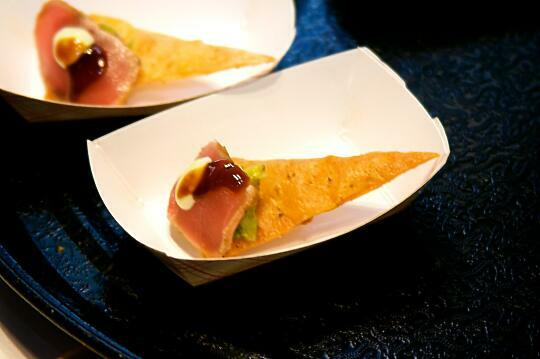 These were delicious – seared sashimi-grade tuna, avocado, and shiitake mushroom relish on a cajun-flavored tortilla chip, topped with wasabi mayonnaise. There were also some salmon and avocado rolls at a booth promoting pre-made sushi vinegar, that you just mix into rice. While it tasted like normal sushi rice, I personally wouldn’t buy the pre-made sushi vinegar when I can make my own quite easily. 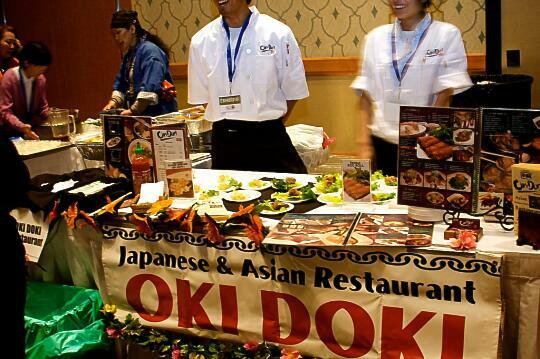 We got to try some shrimp from Oki Doki… which tasted very familiar. It was delicious, but actually tasted more like the Shrimp with Mayonnaise and Walnuts that you find at many Chinese restaurants, than any Japanese dish. 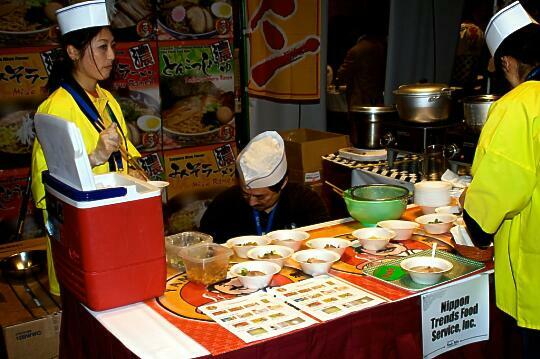 Another booth was handing out Tofu Shirataki noodles. These were alright, something I’d enjoy if given to me, but nothing to call home about. I probably won’t ever be buying these to make them for myself. 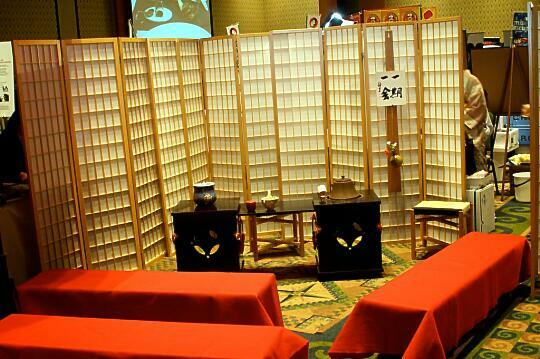 One of the last booths we visited was one from Musha Izakaya. Wait… doesn’t that sound familiar? If you’ve been reading Sushi Day for more than a few months, then it should – Son took me there for my birthday last year. They were offering some sort of vegetarian “meat” that looked and tasted like chicken, and the kakuni pork belly that Son and I ate when we visited the restaurant last year. Yum. We also got to try some yakitori chicken skewers. I didn’t particularly like these, but Son seemed to enjoy them. 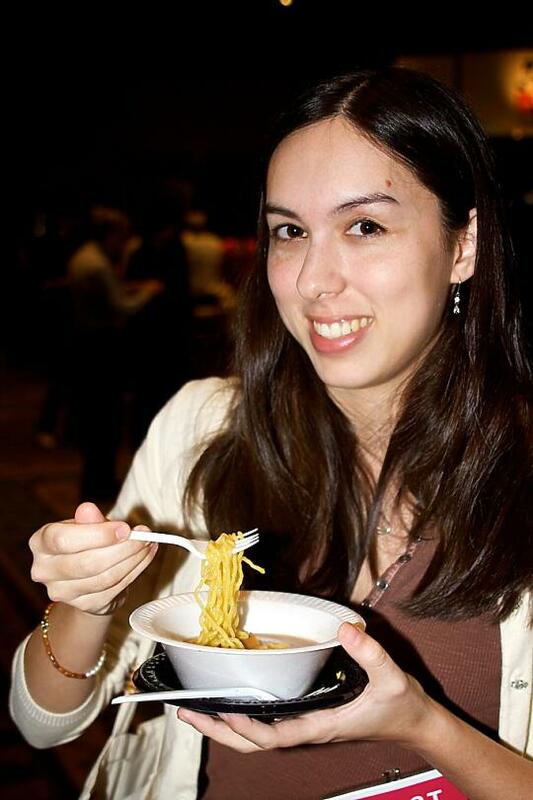 There were also some yakisoba noodles, possibly by the same company that served up the fresh ramen. The contrast was day and night. While the ramen was hot and made right in front of you, the yakisoba was lukewarm and seemed like it might have been sitting out for a while. 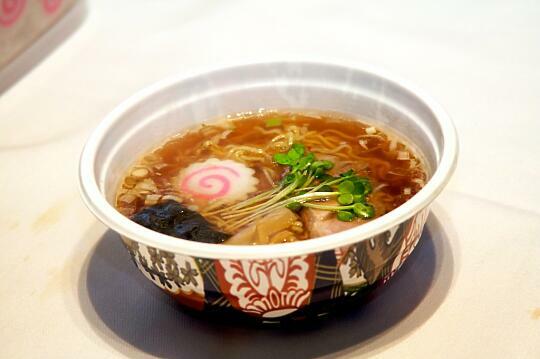 While the ramen was incredibly delicious, the yakisoba was… not. Ick. We definitely could have done without it. 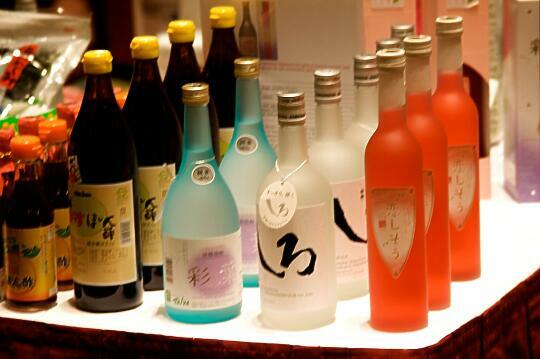 And then, there was the sake/alcohol part of the festival. 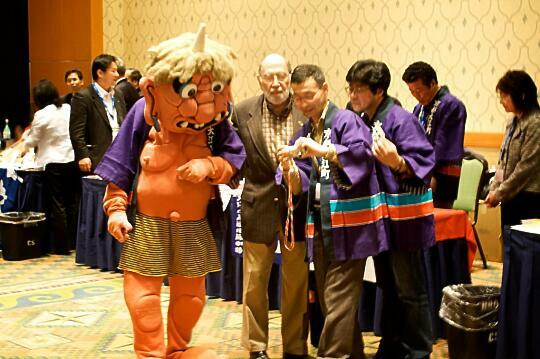 Some of the sake booths had some pretty amusing mascots. As you may know, neither Son nor I drink alcohol, so we can’t really comment on this part of the festival. 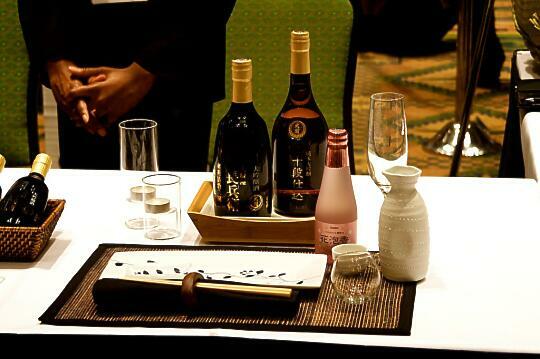 But what we can say is that there were some really beautiful sake bottles. Even though I have no desire whatsoever to start drinking alcohol, sometimes I wish I did just to have a good excuse to collect all these gorgeous bottles! Since we got in during the invite-only section of the festival, we had seen all the booths and were about to leave by the time the festival opened up to the general public. 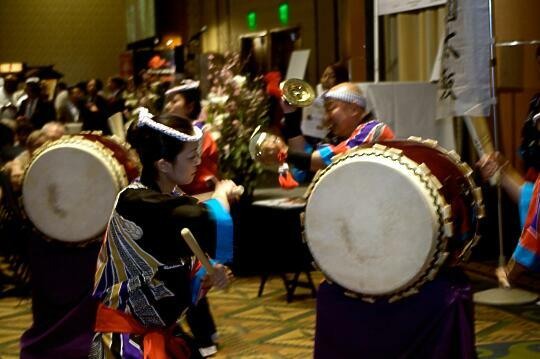 Just then, the taiko drummers began their performance, so we stayed a little while longer to watch them. It was incredible how much energy these people had, especially the older man who seemed to be the main focus much of the time. I really enjoyed seeing them play. We got some little Japanese donuts that we ate when we got home after the festival. These were very dense, and very… Japanese. 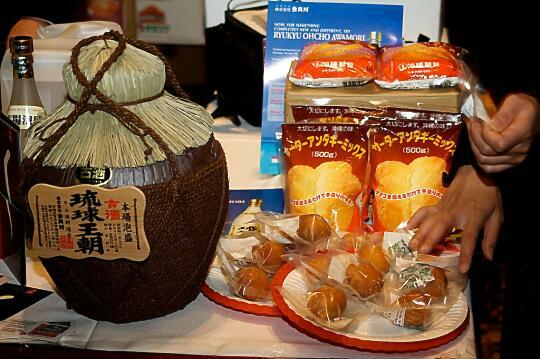 I don’t really know how to describe it, but the taste of the bread was a taste that I associate with Japanese pastries, like the little bird-shaped mochi, or the bean filled an-pan that you can get at Japanese supermarkets or bakeries. 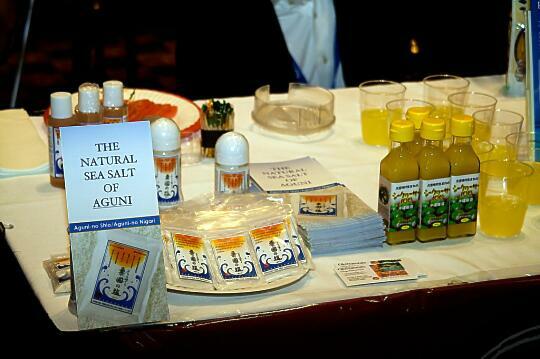 The very last booth we visited was one giving away packets Japanese sea salt and cups of Shikawasa juice. The juice was pretty tasty – like lemonade, but not so tart. 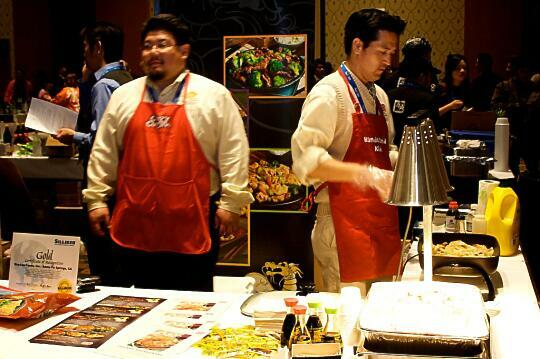 Overall, we really enjoyed the Japanese Food Festival. 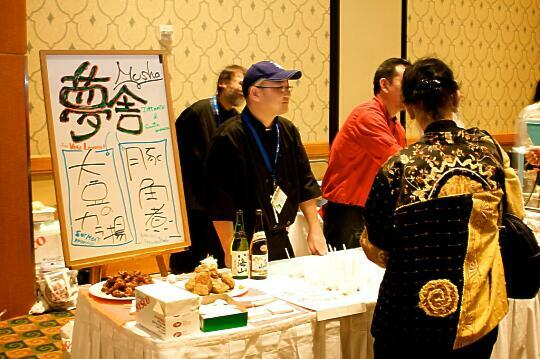 Although it was unfortunately only held on one day, and a Thursday at that, if you’re in the area next year (and like sake, because I’m not sure the $50 entrance fee is worth it if you don’t want to try any of the alcohol) then check it out! 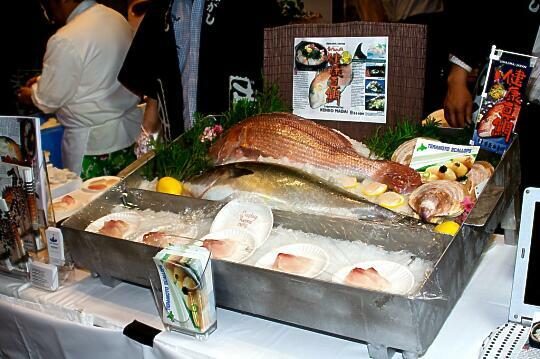 Don’t forget to enter our contest for a chance to win a copy of the book, Sustainable Sushi, by Casson Trenor! The contest ends on March 7th at 11:59pm, so get your entries in! Wow – color me jealous! As always, your pictures look great, and make me wish I wasn’t on the other side of the country from all that tasty food! It was great seeing you guys there. I think you managed to out-eat me, but man, wasn’t everything so tasty. 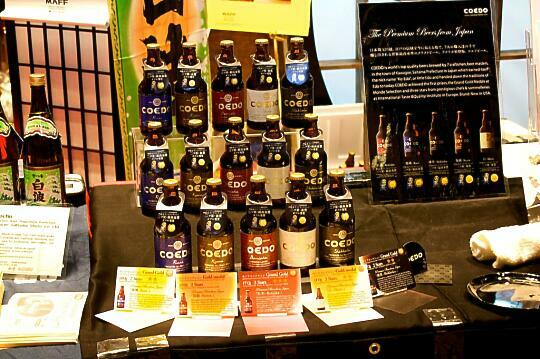 I hope the Coedo beer guys can find a distributor here in the US, because their stuff was tasty. And the sakes blew me away. A whole new world to start exploring. We are going to have to make a yearly habit of attending! Todd. That looks like a lot of fun! 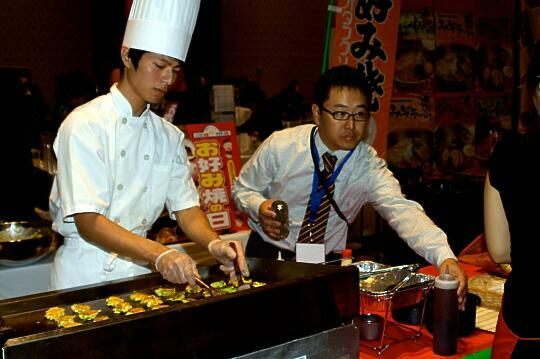 As you know, Japanese cooking is my after-work hobby, I would have loved to have come. 😉 Also looks like a great way to start exploring sake. I keep trying to do that on my own but the liquor stores aren’t really carrying it around here. Too bad they don’t do anything like that here in San Jose. 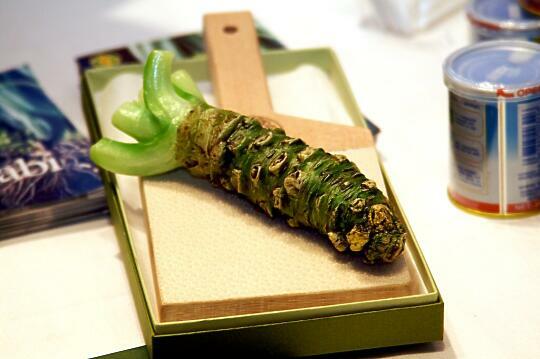 Was that a sharkskin grater with the real wasabi root? Nate – No clue. I couldn’t get close enough to see, and there was so much going on that we didn’t really pay much attention. I am now drooling, thank you very much! 🙂 I spent my whole life in SoCal and can’t believe I missed this festival. Although, the entrance fee would have been a turn-off since I don’t drink alcohol. I might have preferred to spend the money at a really good Japanese restaurant. I love tofu but I’m not overly fond of Tofu Shiritaki noodles. 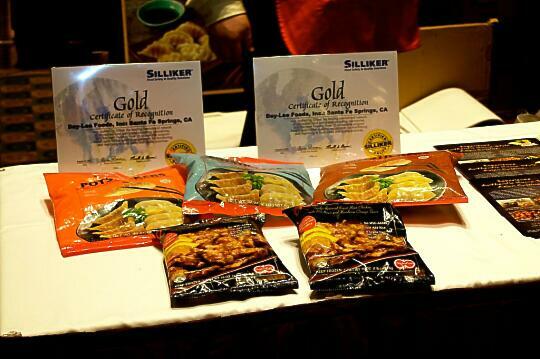 I have used them in place of pasta for soups and pasta dishes but not in love with them. Thanks for sharing the sights and sounds, it was a treat for me to live vicariously through you. OMG! 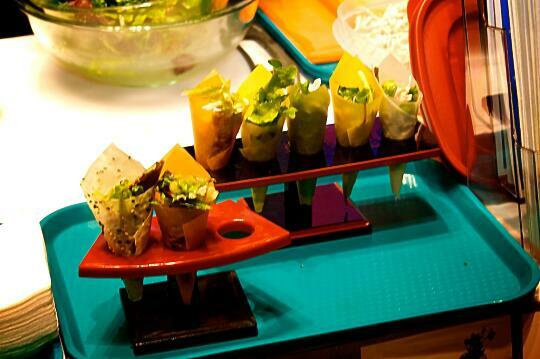 Sushi Heaven! I am so sad I missed it. Love it! That looks like sooo much fun!!! Ahh… Looks delicious! Wish I was in California now. 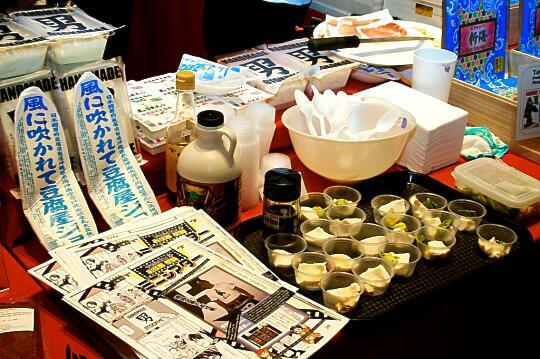 wahh….nice blog and pictures you have here..good to have this japan food festival there..
oh,in my country(Malaysia) we called tofu in syrup -> tofu-fah..I’m not quite sure bout other countries..but, it’s delicious right? Karen – I believe this festival has only been going on for a couple of years. I agree about the entrance fee… neither Son nor I drink alcohol, so if we hadn’t gotten in for free we probably wouldn’t have found it worth the price. 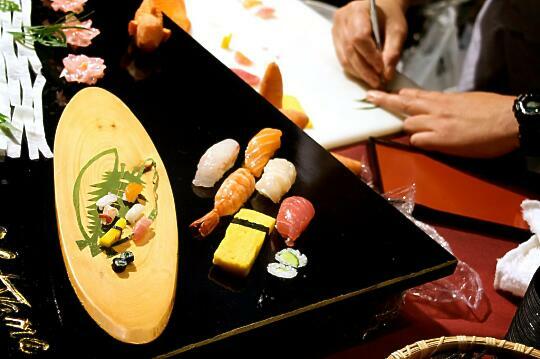 Darren – Not *that* much sushi, but a lot of Japanese food. And you would’ve loved all the sake they had there. Great pictures and lovely looking food. 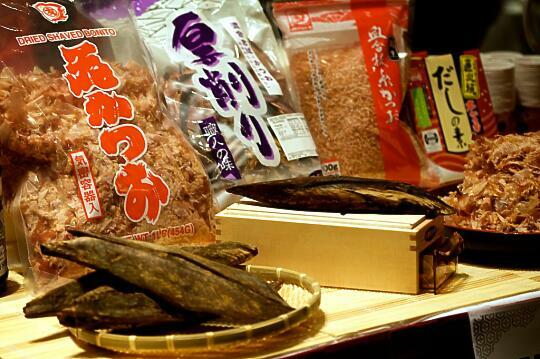 This has made me miss Japan more than ever. I love all types of food, epecially when you can eat them at a festival. My favorite festival are Greek Festivals because of the kabobs and sweets. Found you blog, exploring. Great post with great photos! I love it. Love this! Omg! I so wish I was there! Tooo cool!!! 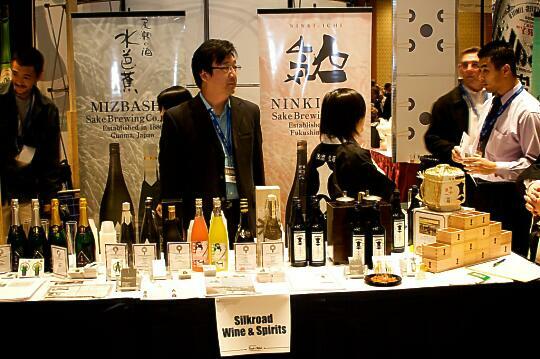 I thought I was the only one who only wanted sake for its bottle. Haha! 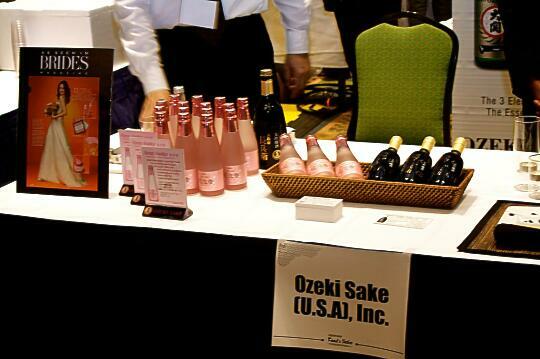 Send the Sake this way please! Very well written story. Keep doing what you are doing. Looking forward to more posts. Thanks!